As promised, I am continuing my “Quo Vadis” post about Wikipedia (and Wikimedia projects in general). This time I would like to focus on one of Wikipedia’s chronic illnesses, which I call “the tyranny of decentralization” after Jo Freeman‘s “Tyranny of Structurelessness”. Three or four years ago it seemed to me like a passing syndrome, but it has grown since to become a major and poorly treated problem. Taking part in the “Critical Point Of View” (CPOV) group, I brought up some of my ideas about the better and worse in Wikipedia. One of its members directed me to a well-known essay by Jo Freeman, from 1970, entitled “The Tyranny of Structurelessness“. The essay deals with the deliberately unregulated nature of women’s feminist groups at the time it was written, and, in a way, it echoes Cicero’s renowned saying “We are slaves of the law so that we may be able to be free”. Freeman basically brings another evidence to proof the notion that anarchy is impossible. We, human beings, cannot do without rules and regulations, and even if we consciously try to avoid them, we are going to develop some kind of regulatory system sooner or later. And yet, letting such a system develop “naturally” leads too often to tyrannical atmosphere characterized by constant struggles for power, oppressive acts in order to achieve power and maintain it, cabals and “secret councils” formed knowingly or unaware in lieu of the forbidden regulated decision-making forums and so forth. The conclusion drawn from Freeman’s essay is simple – Since rules and regulations are unavoidable, we might as well make them, and keep them, in the right way, namely through open transparent processes. If we want our laws to be phrased accurately and enforced in a gentle, assertive and consistent way, we must deliberately and consciously design them and the mechanism surrounding them. This observation might seem trivial to those of you who studied social sciences; however in every epoch of history people argue the plausibility of unregulated human interaction as an alternative to the alleged burden and oppression of rules and laws. Jo Freeman brings yet another example, this time of reformative feminist women’s societies, to show us, once again, that the lack of agreed written rules is as catastrophic as having bad rules or a system of arbitrary law enforcement. Tyranny lurks in all of these three possibilities. Trying to apply Jo Freeman’s observations on my experience in Wikipedia seemed frustrating at first. I recognized many of the phenomena she described, and yet I could not say there were no rules or regulatory structure in Wikipedia. Quite the contrary. Wikipedia has an abundance of policy pages and many administrators to enforce them. Wikipedia used to have a rule saying “ignore all rules“, but it has long been neglected and almost forgotten. On the other hand, it would be an absurd to claim that Wikipedia has been taken over by tyrants. The problem seems to be lying somewhere else, but not so far from Jo Freeman’s theory. Wikipedia was never meant to be anarchist. Quite the contrary, it is a conservative project in the way it perceives its own goals and modus operandi. If you look at the first propositions for Wikipedia’s policy, you can see how liberal they are, but still very much within the traditional framework. In fact, the academic resentment toward Wikipedia, at least in its early days, might be due to the similarities between its method of work and the academic way. Wikipedia basically wanted to do what the academy does but slightly different, hence the feeling of threat by academics. When it comes to real post-modernist or anarchist projects for spreading knowledge and information, the academy simply ignores them. And despite this promising starting point, with the right dosages of liberalism, modernism, conservatism and high spirit, Wikipedia seems to have fallen into the trap of rigidness that in certain cases even amounts to tyranny. Not tyranny of stucturelessness, but tyranny of decentralization. It is not enough to design a structure of transparent and liberal regulatory system. There must also be a single source of authority to interpret the rules (i.e. applying them to real-life events) and to enforce them. This regulatory structure can have plenty of room for diversity, but at the end of the day, there should be clear boundaries supervised by a single authority. If you think “boundaries”, “supervision” and “authority” are frightening terms, you should remember that in a liberal democratic society, rules are not demands directed from the authority to the members of the community, but a system of bidirectional orders and understandings between the authority on the one hand and individual members and subgroups within the community on the other. If we indeed want to create an open community of encyclopedia editors, we cannot just write policy pages, appoint some administrators and hope everyone will do her/his best. It simply doesn’t work that way. The United States has various legal systems, at least one for each of its fifty states and one district, but it has one single constitution that governs all these systems, and a single transparently elected authority to interpret the constitution. All this in order to ensure that the local diversity does not come on the expense of consistency with the greater political structure known as the United States. Upon which terms should I read Wikipedia’s texts? This problem I call “the tyranny of decentralization” has two major implications. The first has to do with the encyclopedic content itself. 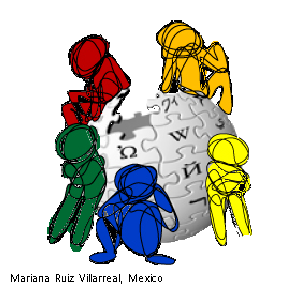 Due to the lack of centralized rules and style system, it is hard to put the text of a Wikipedia article into context. “A text is read in its own terms”, the old saying goes, meaning that a text without its context is almost meaningless. And yet, while names like “New York Times”, “The Guardian”, “Al-Jazeera” or “Amnesty International” direct to a rather clear context upon which the texts of these institutes should be read, the name “Wikipedia” does not hold enough context to ensure that I understand its texts correctly. I cannot know for sure whether the Spanish-language Wikipedia should be read upon the same terms as the English-language one, and if not, what the differences are. Wikipedia does not even commit to full consistency of terminology and style within the articles of a single language-based project. One could suggest that Wikipedia is something similar to the “WordPress” website through which I publish this post of mine, but this is not the case, because on Wikipedia the articles are never signed. Of course, it is possible to know who has written what (by nicknames and IP addresses) when browsing the “history” of the articles (the article’s “talk pages” are also useful for this purpose) but the article itself is presented unsigned, or better said, it is signed by “Wikipedia”, without a strict definition of what this signature stands for. 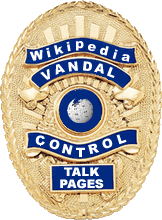 Another implication of the decentralization policy of Wikipedia has to do with the interaction between members of the community of editors, particularly when conflicts develop. While there are rules for conflict resolution, their implementation is highly dependent upon arbitrary interpretations of one administrator or another. There is no “supreme authority” to which one can appeal. The word of the administrator whom you were unlucky enough to encounter is final. The best way to protect oneself from arbitrary enforcement of the rules is to enter the “inner circle” of one of the more powerful administrators, a phenomenon which, in its turn, enhances the problem. By the end of its first decade – Quo vadis Wikipedia? Wikipedia is about to celebrate its 10th anniversary. If you asked me, I would do without celebrations. A decade after its creation, Wikipedia needs most of all a profound self-examination. Wikipedia is actually a victim of its own success. It has become so popular so quickly, that it grew faster than its ability to steer itself efficiently toward its initial goals. You can think about it as a car speeding up to 200 km/h while its driver never expected anything beyond 30, or as a cargo ship being loaded with double the weight it was originally expected to carry. Success can turn into a curse unless handled with care. I am going to list some of Wikipedia’s crucial problems (in my humble opinion) and some suggested solutions. Has anyone ever tried to read all the rules and guidelines that govern the work on Wikipedia? By size and complexity, the bylaws of the English-language Wikipedia resemble the code of law of a big province, or perhaps a small country. If it keeps growing, it would be recommendable to train special wiki-lawyers who would advise users about the legal consequences of their edits and defend them in trials. Don’t laugh, trials are already conducted on Wikipedia on a regular basis. There is an arbitration committee that functions like a tribunal, there are mechanisms for trying users for breaking rules. Remember, this project started with five pillars, the fifth of them stating “ignore all rules“. There is too much to “ignore” these days, and too many penalties to those who boldly follow this fifth pillar. There must be no cabal, there must be no elites, there must be no hierarchy or structure which gets in the way of this openness to newcomers. Any security measures to be implemented to protect the community against real vandals (and there are real vandals, who are already starting to affect us), should be implemented on the model of “strict scrutiny”. These pages are hardly in line with the statement above: Editing Restrictions, General Sanctions. Here are some examples for cabals: WikiProject Palestine, WikiProject Israel (the former seems to be more efficient as a cabal, at least in recent time). Here are directions on how to apply for the elite of English-speaking Wikipedians: Guide to Requests for Adminship. It is slightly easier than applying for a US “Green Card”, but only slightly. Admins hold power that any “real world” judge in a democratic country could only dream of. And remember, there are mailing lists too. Abolish rules – Reduce the number of rules to the minimum necessary. Administrators – (i) Adminship should be restricted in time. (ii) An admin should reveal her/his real name, location and occupation – It is unethical to judge people hidden behind a mask. (iii) When in doubt do without blocking – “He seems a vandal to me, so I decided to block him” is not a legitimate justification. Arbitration Committee should not produce new rules. It should accept requests for solutions to ad-hoc problems. It should deal with them in plain simple language and procedures. It should not impose restriction on users or define conditions for such restrictions. Abolish “project pages”, these are nothing but substrate for cabal culturing. In general, redundant talk pages should be avoided. An article needs a talk page, a discussion page does not need a talk page for discussion about the discussion. Perhaps the most crucial problem of Wikipedia these days, especially in Europe and the Americas, is excessive visibility. What seems to be a huge success (and it is, actually), is on the verge of becoming a curse. As I type this blog, links to Wikipedian articles pop in on my dashboard, suggesting I add them to my article. Seldom do I see non-Wikipedian link suggestions. The comprehensiveness and accessibility of Wikipedia is indeed very impressive, especially if we consider the fact that it is all the work of volunteers, but this is becoming too much and counter-productive. It reminds me of the time Israel had a single TV channel. When I said, I saw it on TV, it was obvious where I collected the information, and yet people rightfully complained that they want more TV channels in order to have more sources of televised information. Wikipedia was never meant to become a monopoly in the field of providing knowledge and information. Quite the contrary. The idea was to set Wikipedia as a model to more projects of free content. This is why the whole infrastructure of Wikipedia is code-free and free of charge. This is why Wikipedian activists enthusiastically try to convince institutions to publish their material under free license. People sometimes ask me, as a “veteran” Wikipedian, how to introduce their material to Wikipedia. I tell them to leave Wikipedia alone. If you have good stuff at your disposal, publish it under free license, or even better – release it to the public domain, put it on your own well-designed website, and let people read it there. If it is good enough you will become a source to Wikipedia, rather than becoming dependent on it. Play down the public relations for Wikipedia, it has had enough. Make Wikipedia more visible in places where people are still not very acquainted with it, like Africa, the Arab World and Eastern Asia, but in other parts of the world, it is free content and free access to sources of information that should be promoted rather than Wikipedia per se. Encourage people to establish competitive projects. Wikipedia is not a commercial business, it can benefit from competition and should encourage it for the sake of its mission. Niche projects should especially be encouraged. People who are interested in a specific subject should be encouraged to start a new independent Wikipedia-like project about this specific project. This would also create smaller more consolidated groups of editors and reduce frictions and disputes among editors on Wikipedia itself.